So if this was a checklist, how many of these things do you do well? What do you need to work on? If you’re like me, you have some things to work on. May God bless you as you pursue to improve your ministry to others! Bite-Size Candy. Have you noticed how all the favorite candies are going to bite-size now? You can get all your favorite treats in a little bag, all in bite size nuggets. Basically, it allows you to think you are eating less calories, while eating more than you would in a king-size pack. Essentially, that is what happened with this book. I found myself enjoying the “bite-sized” chapters, hoping to just digest one chapter at a time. And I found myself wanting to read more than my original appetite dictated. Better Preacher Infomercial. You can almost hear in the background as you read, “Will make you a better preacher, or your money back!” You know what, this book could deliver on this promise. It truly holds golden principles that, if you put them into practice, will allow you to be a better preacher. Come Along for the Ride. Each chapter summarizes sermons from some of the best preachers of God’s Word on the planet (Mr. Vibert, you forget Matt Chandler on this list…think about that for your sequel). The chapters take the strengths of each preacher and teach you how to implement those strengths into your preaching. Also, the author does a good job of keeping balance for the reader, understanding it is not intending to produce clones of these preachers, by following every aspect of their personality and preaching mannerisms. Can’t Have Just One. It’s like Lay’s potato chips (can you tell I’m trying to eat right this week), you can’t eat just one. Same with the sermon summaries. Many times, the author chooses just one sermon to give illustrations of the preacher’s strengths. In my opinion, the chapters that mentioned other sermons brought more credibility to the instruction. Every preacher should at least read the conclusion of the book. In fact, I’ll be sharing with my senior pastor the “12 Things Preachers Do Well” this week. Stay tuned, next week I will give you those 12 tips. You won’t want to miss those. As I mentioned before, it was a fun ride. To be able to learn from some of the best preachers, and to have someone spell out what makes them good, makes it worth a read. I’ve got a long way to go in my preaching, but this was worth it for the training. I’m blessed to have a mentor to help me in my sermon prep and delivery, if you do not have someone like this, allow this book to mentor you and develop your preaching. Now to the person who doesn’t connect with sports. Those words seem ludicrous to you. Sure, if a war hero said these words, you could understand, but a man who plays a sport. How could one man cause this much headlines from sports pages to national news? How could one man bring hope to an entire city? As if the city was Gotham or Metropolis…not Cleveland. Hope. (I Peter 1:3) LeBron said in his letter to Cleveland that he wants to give hope to the city. Hope of what? A gold trophy that most likely will be passed to another team a year later? Hope is a word that should be reserved for what the Savior gives us each day. That even though today is hard, there is hope for tomorrow. Left Paradise Behind. 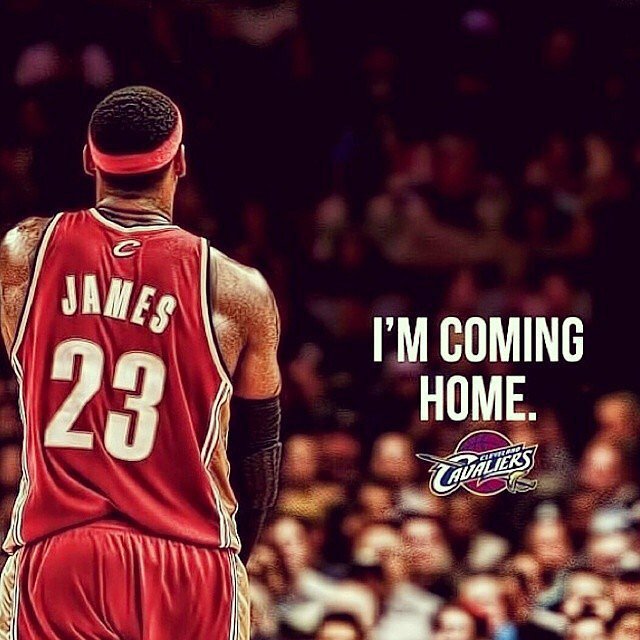 (Philippians 2:7) My apologies to Cleveland, LeBron just left the sandy beaches of South Beach to come to Cleveland. But this was nothing compared to the place our Savior left. He left heaven to be born in a feeding trough for animals. 2nd Coming. (John 14:1-3) You would think with these types of headlines, and the hoopla surrounding the announcement, we would be talking about the 2nd coming of another man. Nope. We are talking about a basketball player. Picks His Team. (Luke 5:1-11) LeBron had his pick of where he wanted to play and who he wanted to play with. He essentially picked his team. He even helped his former team pick in the draft, and then left. But instead of choosing the equivalent an all-star point guard and the team with the #1 pick in the draft, we see Jesus choosing guys from the YMCA men’s leagues. He chose guys like you and me, ordinary people, even some outcasts of society, to be on his team. King. (Revelation 11:15) The King Returns. LeBron is back. King James. I realize these are nicknames given, but are misused. The King who will return, and take his rightful place on His eternal throne…that will be worth way more than a max contract. Son. (Luke 19:10) LeBron calls himself a Son of Northeast Ohio, who will come to bring hope and inspiration to his hometown. Jesus called himself the Son of Man. He came to seek and save the lost, and bring hope and inspiration to the world. You see why now I can’t help but think of a greater Savior, a greater King, a more humble Son. The bigger headline should be reserved for the one that can truly bring hope to all the nations. Jesus. And although His 2nd coming may be talked about less today, one day it will put everyone on one knee. What in your life takes you from bold to fearful? My guess is it comes down to three fears. Challenge yourself to face these fears, stare them in the eye, and let God have them. Which fear do you struggle with the most? Do you struggle with pleasing others? When you feel like you have let others down, or not lived up to their expectation, does that devastate you? 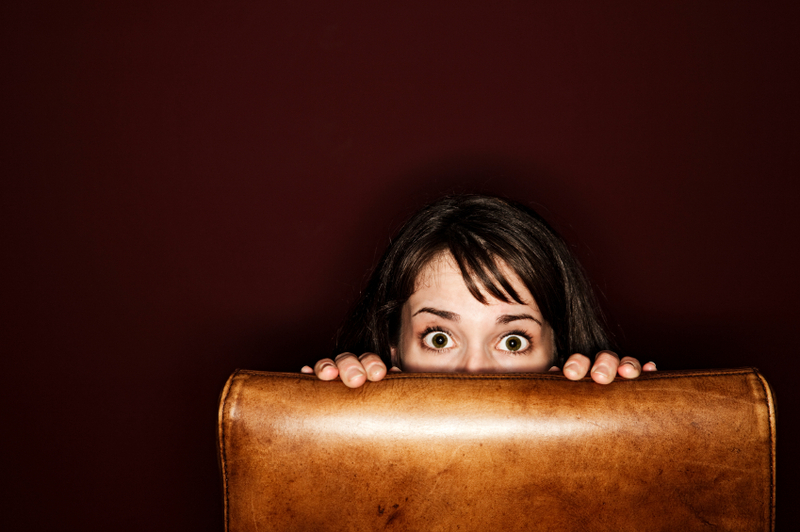 When it comes to standing up for the Gospel, are you the first to run and hide? Do you take that stand, or do you limp back and forth from worldly to godly? Do you compare yourself with others, in fear you don’t measure up? Whether it is your body image, your home, your bank account…it’s easy to let these things get you down when you fear man and man’s approval. Remember, that God looks at the heart. Are you a worrier? When things get out of your control, do you lose your boldness? When you are in danger of a job loss, letting your kid on the bus for the 1st time, or you turn in your exam not knowing what will be your return grade…does fear enter your veins? Do you feel like you deserve a peachy life? Does a bump in the road, no matter how small, take you completely off course? Remember God being in control is better than you being in control. Remember you are not alone. And find purpose for your life…purpose that invests in eternity. What do you have in your grips that would seem impossible to let go, if God were to ask you? Do you trust God enough to give him control of everything, including your, or does that scare the snot out of you? Don’t you want to trust the one that knows the future, instead of denying His plan even though you cannot see past the current second hand on a clock? Trust God with your future. Ecclesiastes 12:13 – The fear that will take care of all other fears. Solomon takes the entire book of Ecclesiastes – to look everywhere for answers, and this is his conclusion: FEAR GOD & KEEP HIS COMMANDMENTS. With all due respect to FDR and JFK, I have to disagree. The only thing we should fear is God, the Lord himself. Today, let go of your fears, and let God. 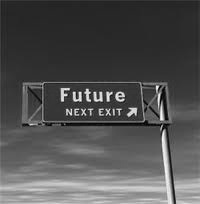 Let God be the one you seek to please, Let God take control of your life, and Let God guide your future.